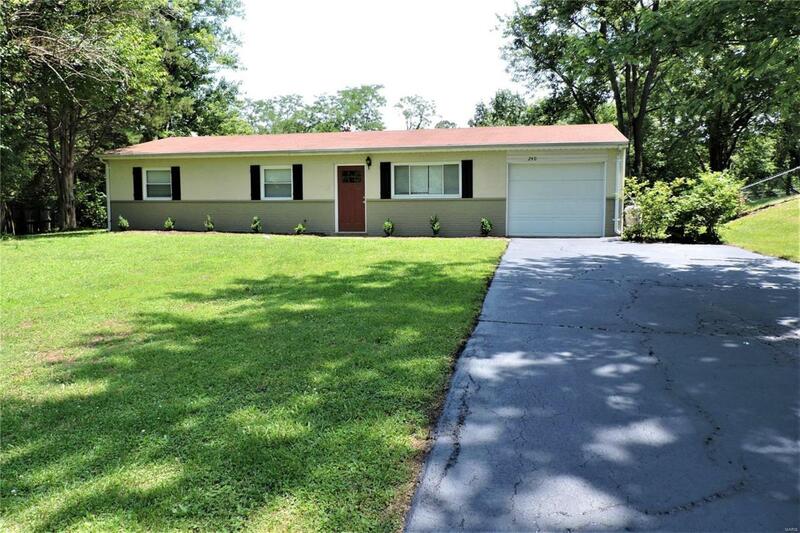 Updated brick ranch on .4 acre, private lot! Open floor plan , living rm is currently being used as a very large dining room, updated, eat in kitchen with granite counters, breakfast bar, SS appliances. Family room has sliding doors to patio and fabulous, fenced back yard. Split bedroom floor plan, updated bath, main level laundry and utility room. Owners bedroom is large, with ceiling fan and nice light. additional 3 bedrooms are spacious and one could be office, playroom, den.. Newer carpet, freshly painted, updated fixtures, new mail box, 1 over sized attached garage. The huge lot offers privacy, plenty of room for Fido, play set's or put in a pool! This home is ready to go for you! Enjoy all the amenities of shopping, grocery stores, restaurants, golf and North Pointe Center! Highly rated Rockwood school district. This home is well under average solds price per sq foot, make your appoint to view today! Listing provided courtesy of Molly O'brien Homes, Llc. Listing information © 2019 Mid America Regional Information Systems, Inc.